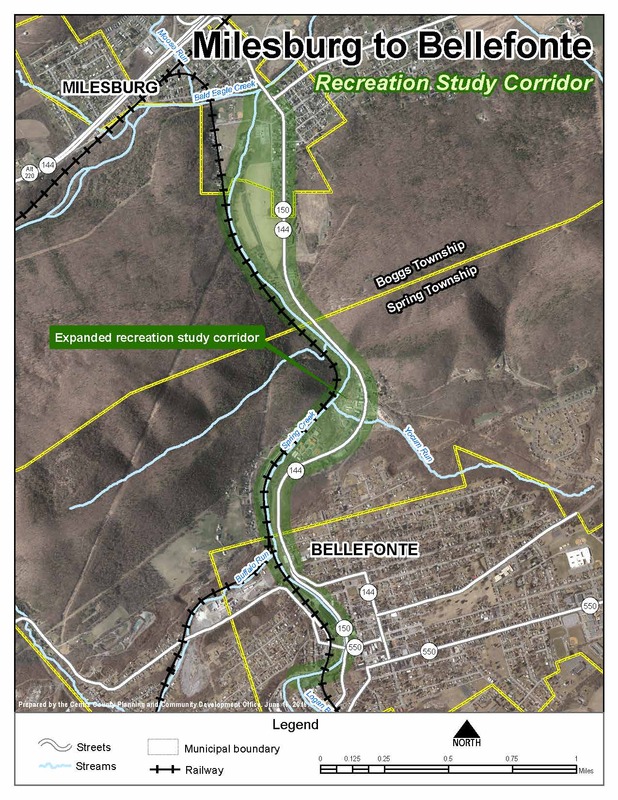 The Centre County Board of Commissioners, in collaboration with Bellefonte Borough and a number of community organizations have decided to pursue the development of a new, approximately 2.5 mile, multi-purpose trail (or other facility type) connecting Bellefonte and Milesburg Boroughs in Centre County. It is envisioned to follow the internationally acclaimed Spring Creek and the historic alignment of the Bald Eagle and Spring Creek Canal. The first step of this process is the completion of a comprehensive feasibility study & pre-construction analysis. The resulting document will define a facility type (multi-purpose trail, shared use path, on/off road, etc. ), a preferred alignment and outline required permitting, easements, right-of-way acquisitions and any environmental/historic/prehistoric impacts requiring study. It will also provide specific and very detailed cost estimates for engineering, acquisition, environmental clearance, utility relocation, permitting and construction. Obtaining a "Request for Proposals"
Sealed proposals must be received no later than 4:00 pm EST on Monday, March 13, 2017.